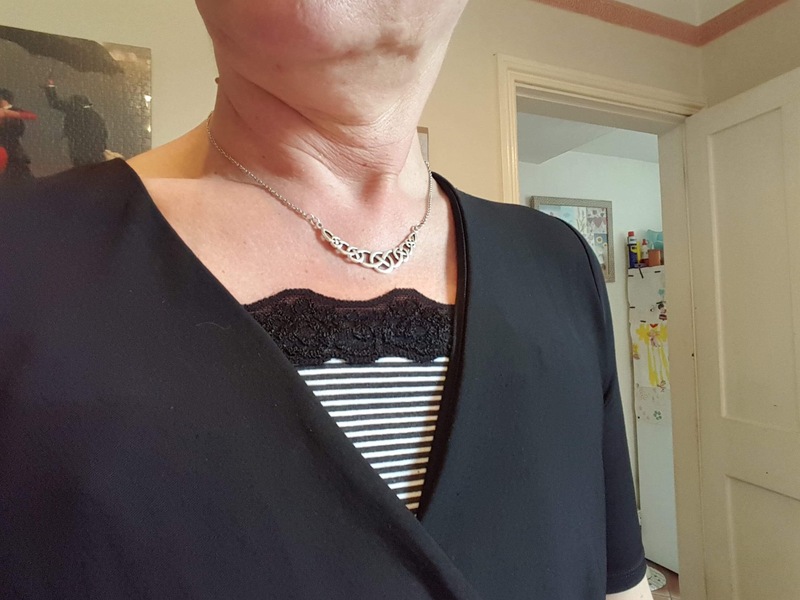 I have been busy sewing today, adapting clothes to make the neck higher and more discrete. I have not changed my style now I’m flat and still wear what I want but some tops and dresses I have adapted. 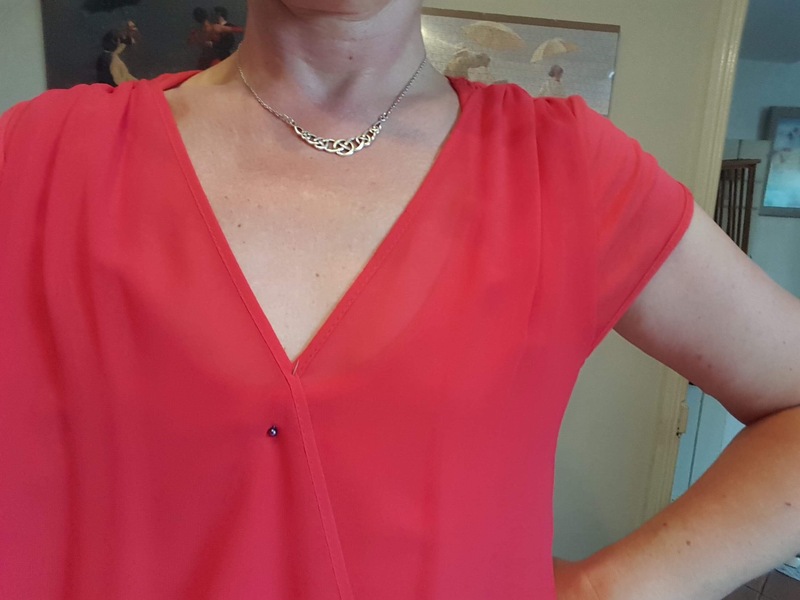 If you have a top with a low V front then you can see in a piece of fabric to make it higher. 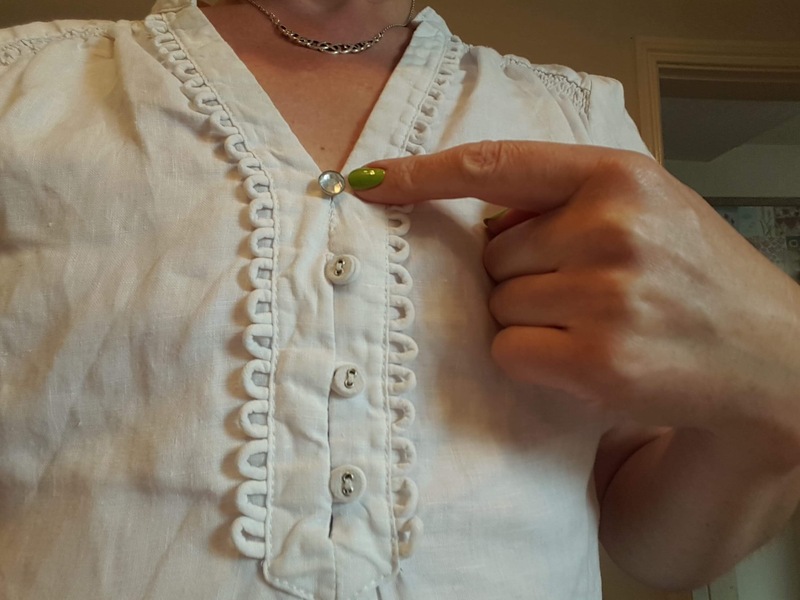 The other option is to buy an insert which attaches inside your top to your bra straps either side. 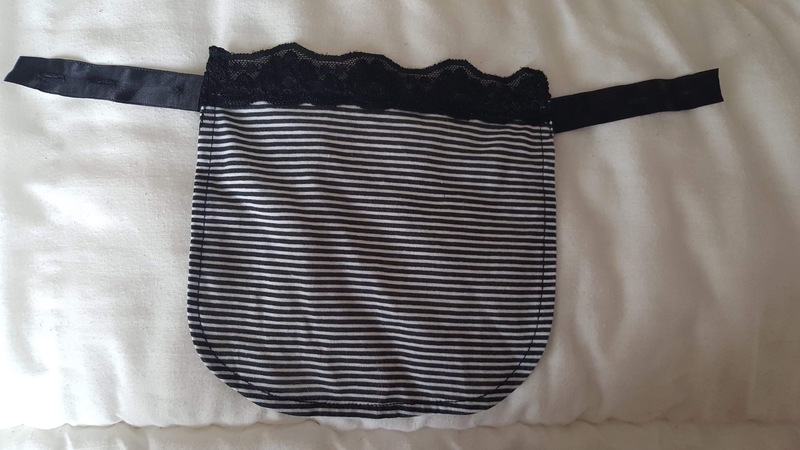 With this you can wear it with any top you need and colour coordinate. 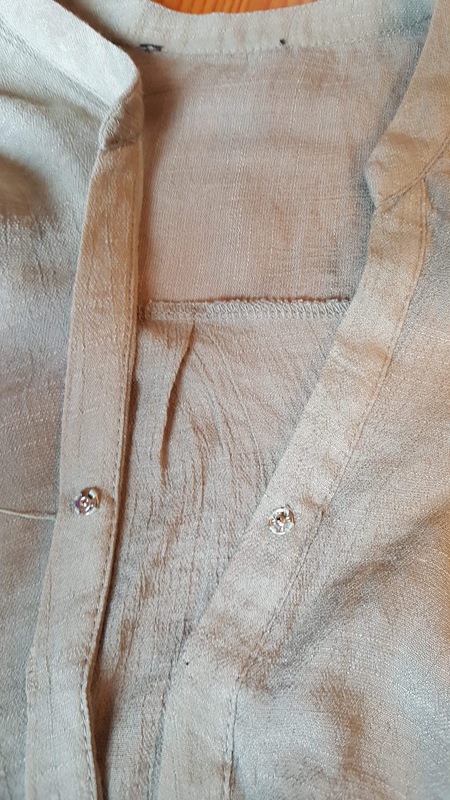 This cream top was just slightly too low so I sewed an extra button to it just above the row of buttons already there. It works well with a different type of button but you can always match up or replace all buttons so they are the same. 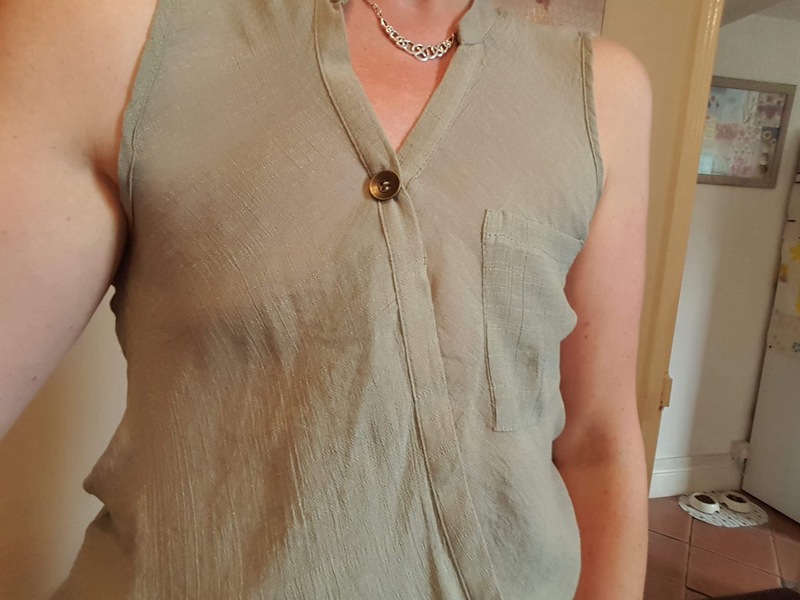 I sewed a button at the cross over of this pink top to hold it up a big higher for comfort and piece of mind. 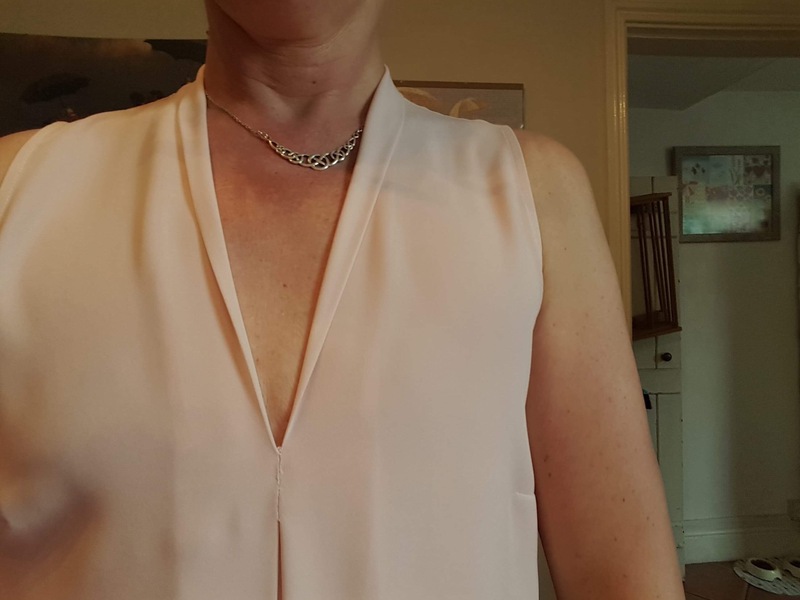 This peach top was also too low without having to wear a very top underneath. I sewed up the seam above the V until it was the right height for me. Be careful to make sure the gap is still large enough to put over the head. This red wrap over top scooped too low. I carefully just put a few stitches into the place where it met to hold it so it would not open up. 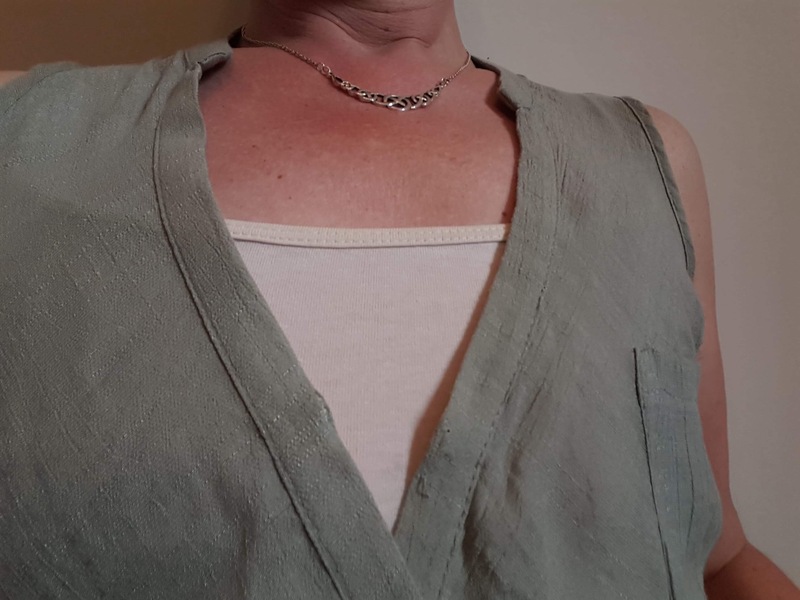 As you can see this brought it up high enough to wear without anything underneath. This lilac top again was you low. This time I sewed in a piece of lace. If have it a stylish look that took it up higher than before. Just cut out a piece that is roughly the right length. You can trim off any excess after sewing. This khaki top gaped too much. 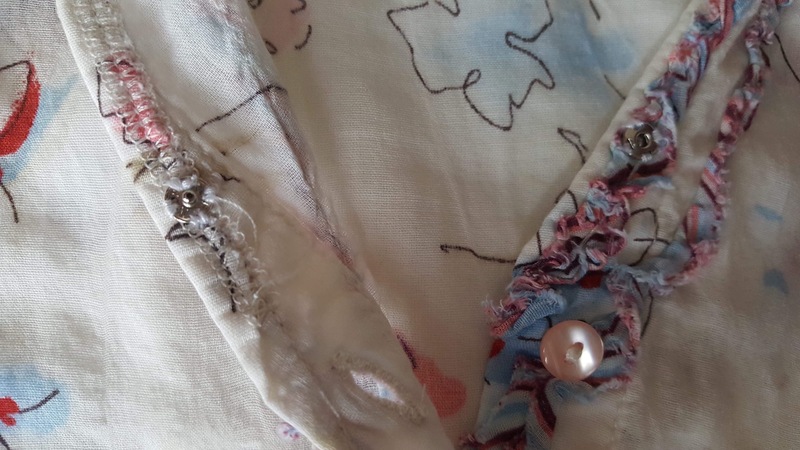 I pinned it together on the overlap and sewed in a press stud to hold the wrap over together. 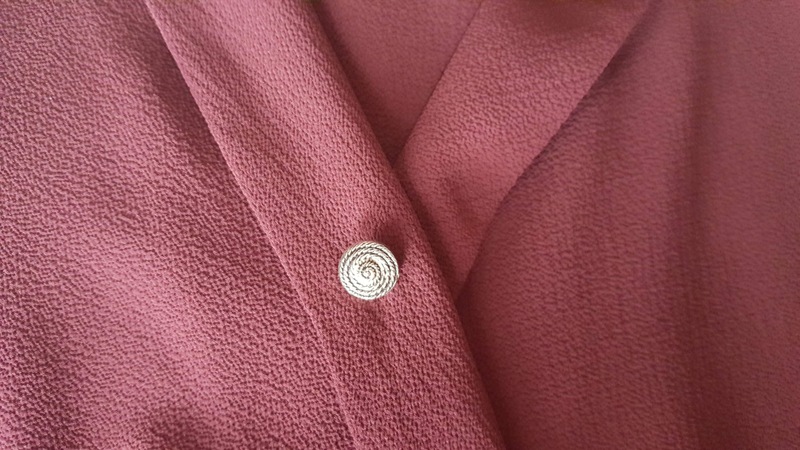 I then sewed a button on top just to give it a decorative look. 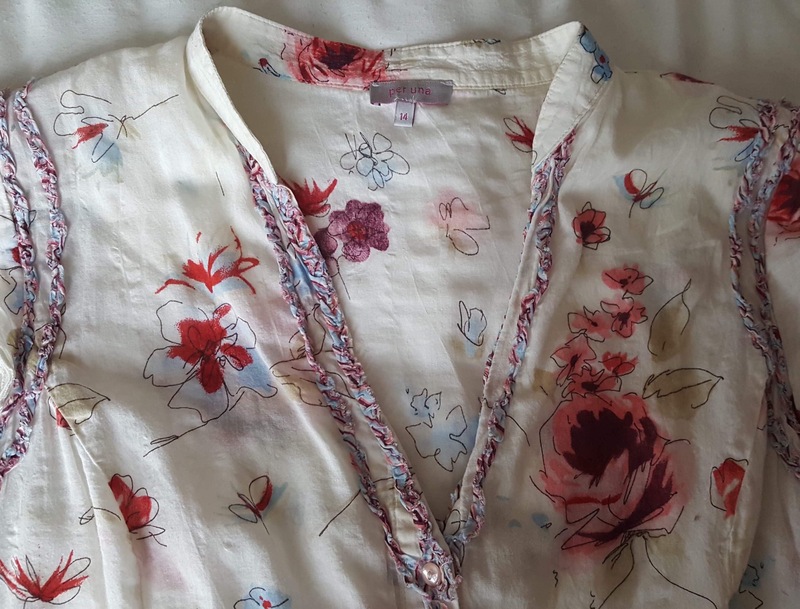 With this floral blouse I added a press stud above the buttons. It’s discrete but works. 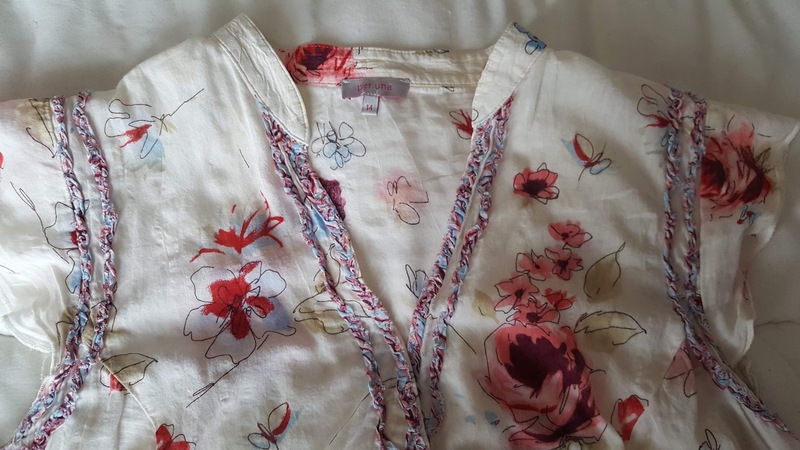 I hope these tips help to give you an idea of what you can do to your wardrobe, rather than buy new! 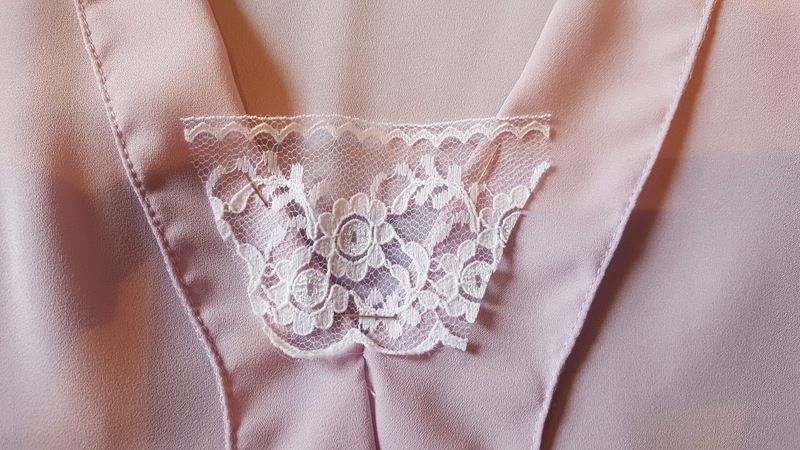 For more sewing tips, especially if you are single flat, check out this sewing blog by another Flat Friend!